Like that awful song your teenager has been playing on repeat all summer, the mindfulness trend is hot right now. Unlike that song, however, mindfulness is a trend we hope will stick around. Mindfulness can help improve attention and emotional resilience by simply encouraging people to be aware of what is happening around and inside them. Often it has been linked to meditation or yoga, but mindfulness can be taught in the context of everyday activities, too. Results of research exploring the effects of mindfulness suggests that it’s a very promising technique; children who learn mindfulness are able to sustain attention longer, resist impulses, self-soothe, and effectively control anxiety. In fact, in a recent blog post, we noted research that found that using mindfulness techniques has proven effective to reduce stress and depression and to improve parenting skills in parents of children with developmental disabilities. 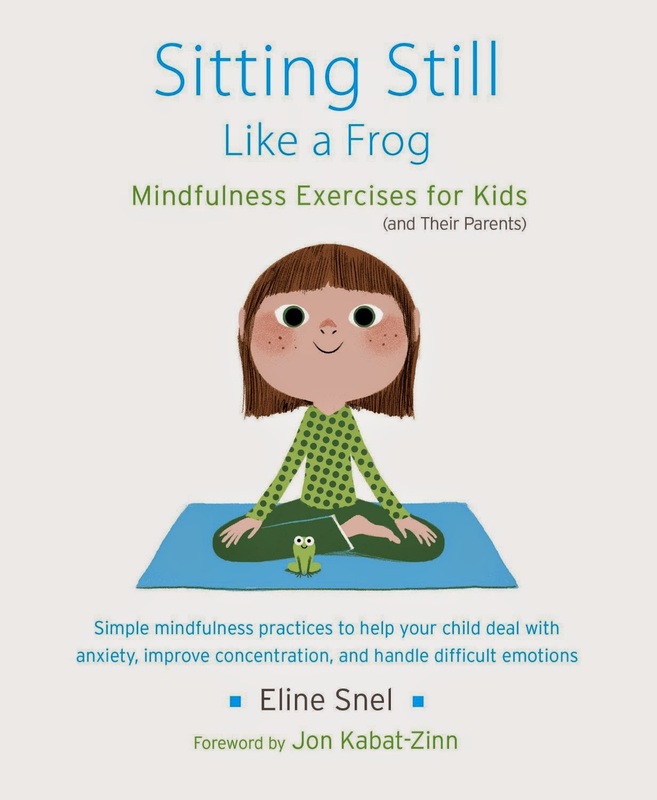 For parents who think their children could benefit from mindfulness, Sitting Still Like a Frog by Eline Snel is an excellent resource. Snel, founder of the Academy for Mindful Teaching in the Netherlands, has worked to develop meditation and mindfulness training programs for more than twenty-five years. Her book is a user-friendly and effective tool that helps families use mindfulness and reap its benefits. The exercises in it are basic enough for children as young as five but nuanced enough to use with kids into their middle school years. Cultivating this awareness is a big part of Snel’s mindfulness training. In addition to learning to be attentive to their surroundings, kids are encouraged to turn the lens inward to find out what they’re thinking, feeling, and doing with their minds and bodies. Many children have difficulty understanding the escalation of their own impulses or feelings and aren’t sure how to control them, so providing kids with tools for this purpose can be enormously comforting. Parents can give staying power to the book’s worthy lessons by helping kids remember to use what they’ve learned when they’re presented with challenging situations. Mindfulness can be very beneficial to children with attention difficulties and anxiety. But it can also help frazzled adults manage stress and feel more balanced. So, by sharing the lessons from Sitting Still Like a Frog with your kids, you may be doing yourself a favor, too.